Carex Derby Designer Cane1.0 ea. Show your pride, patriotism and style with the new Derby Designer U.S. 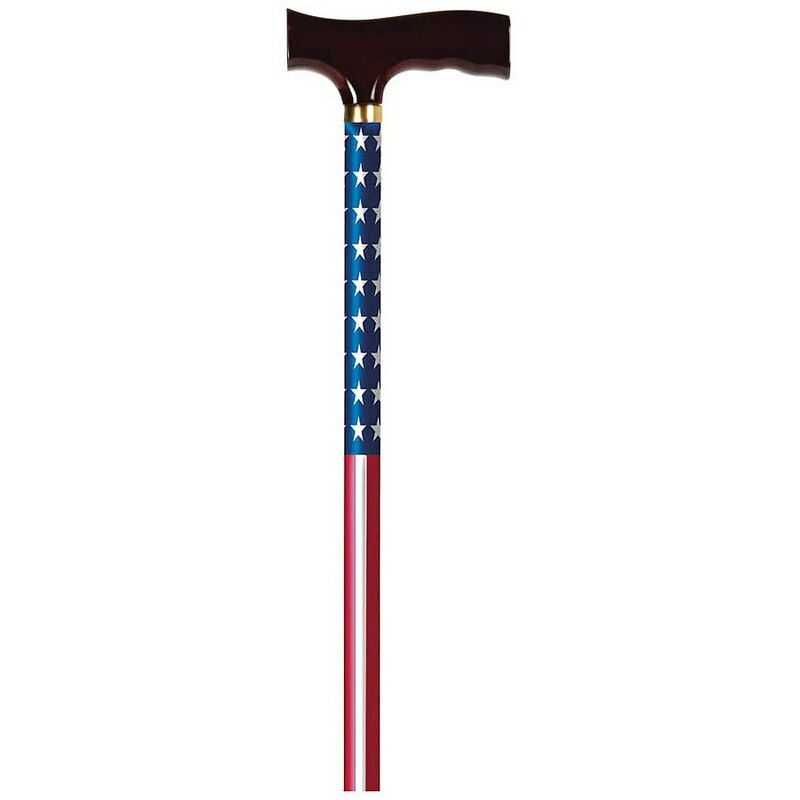 Flag cane. It is height adjustable with a push button and is crafted out of aluminum, providing you with a lightweight and functional cane. This cane is adaptable for right or left-hand users. The classic style is topped off with a black finish handle and a full color retail tag with a sizing guide.